A new aspect of our practice is the Engage Program. We are very excited about this because it allows us to train students to maximize their focus and attentiveness potential before academic problems arise. The Engage Program is aimed at the student with focus and attention issues whether or not they have been diagnosed with Attention Deficit Hyperactivity Disorder. It is also effective for athletes and any student wanting to increase their ability to focus on academic material. The Engage Program combines academic tutoring, coaching (taking good notes, improving study skills, analyzing the point of confusion, etc. ), therapeutic recreation (social skills, wellness, stress management, etc. 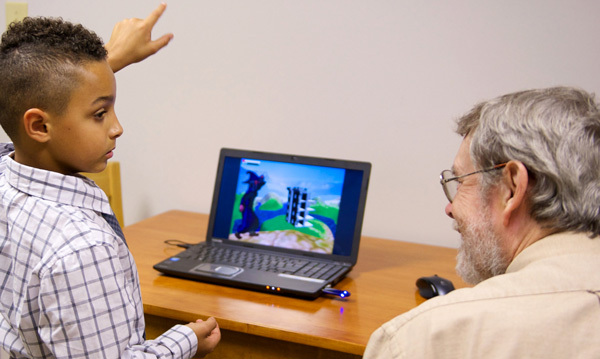 ), and an exciting new focus and attentiveness-strengthening cognitive behavioral control feedback application. The end result of the Engage Program is that it works; its effects are long-lasting; and it is a drug-free approach to improving focus, attentiveness, and executive functioning skills while reducing the ADHD and ODD behavior of students.